Raglan has so much to offer. Water sports galore for every kind of person, well regarded cafes and restaurants, play grounds and skate park for youth and great walks close by. This Bach is very close to all these amenities and offers flat walking for those who want it easy. Just leave your car at the Bach and walk everywhere. 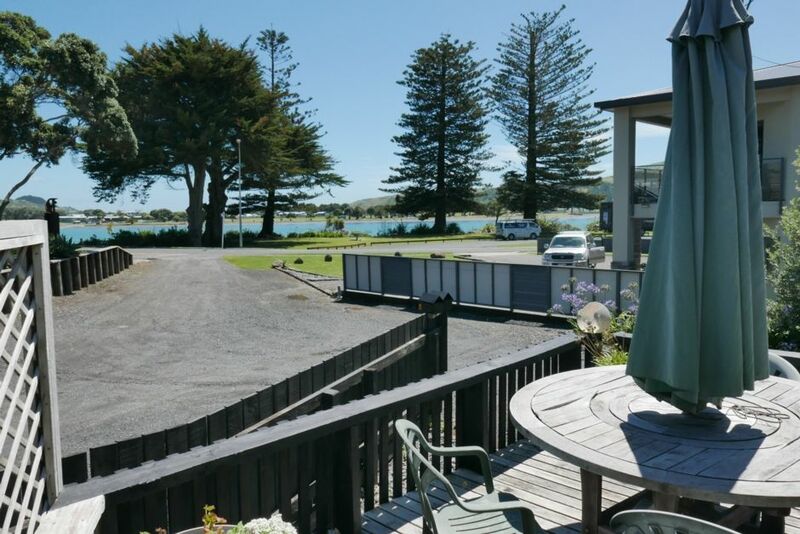 With the info site just across the road you can easily access all the best spots of Raglan. You are only renting the front part of the house which is 90 square metres. The owner often resides in the back half of house while you stay. This area has its own amenities and is separated by a locked door and panel but some muffled noises may occasionally be heard. The property also has another house behind this one which is rented by an elderly lady. Very homely with all the amenities we needed. Also has a great view and only a few minutes walk to the town center. Would definitely recommend. Awesome location and well equipped. Thank you. It is a great location and the owners are very friendly. Comfortable, clean and fully equipped. A lovely cosy cottage with views of the estuary and the sunsets, and very close to the town's amenities. Perfect! Loved our stay. So much better staying at a homey family residence than a motel. Close to town, walked to town for dinner, over the beach and back again to watch the wonderful sunset. Great location and great views. Great location and great views. Lovely house well equipped with everything you need. Close to town and beach. Would definitely recommend & stay again.